It’s a bit ironic that as a UX developer I spend most of my time in the terminal. That’s why I’m always on the lookout for new tools that improve my command line user experience. 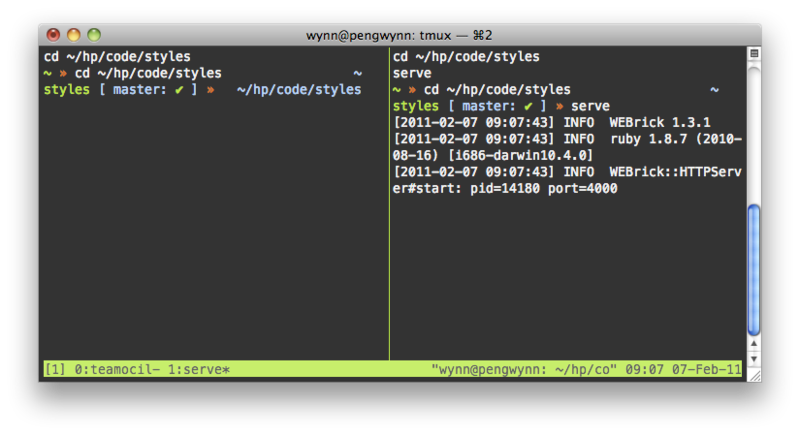 To set up your own tmux session, you’ll need to install it via your favorite package manager. On the Mac, I use Homebrew. Be sure and check the Readme for more info or how to create vertically split layouts, too.